It is 41 inch(104 cm) deep silver umbrella. By deepening the part of the umbrella, it suppresses the light spreading upwards and downwards in the upper, lower, left and right of the umbrella, improving the directionality more than the usual umbrella. 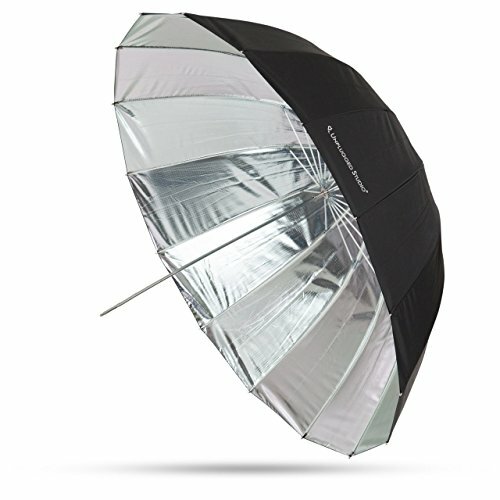 In addition, it uses 16 frames, which is more circular than normal white umbrella. High grade type 41 inch Deep Silver umbrella. 16 fiberglass ribs and it is makes beautiful circular catchlight. # The main tube is made of iron.